Feetures galore! The Feetures Elite Ultra Light Cushion sock adds enough technology to satisfy even the most technical runners. Not only are the socks designed anatomically, to create the perfect fit, but also, they use Sock-Lock Technology to create targeted compression where you need the most support. The Ultra Light is also ultra thin, so it can still be used with a tighter fitting shoe, while still keeping your feet dry and cool all day long. 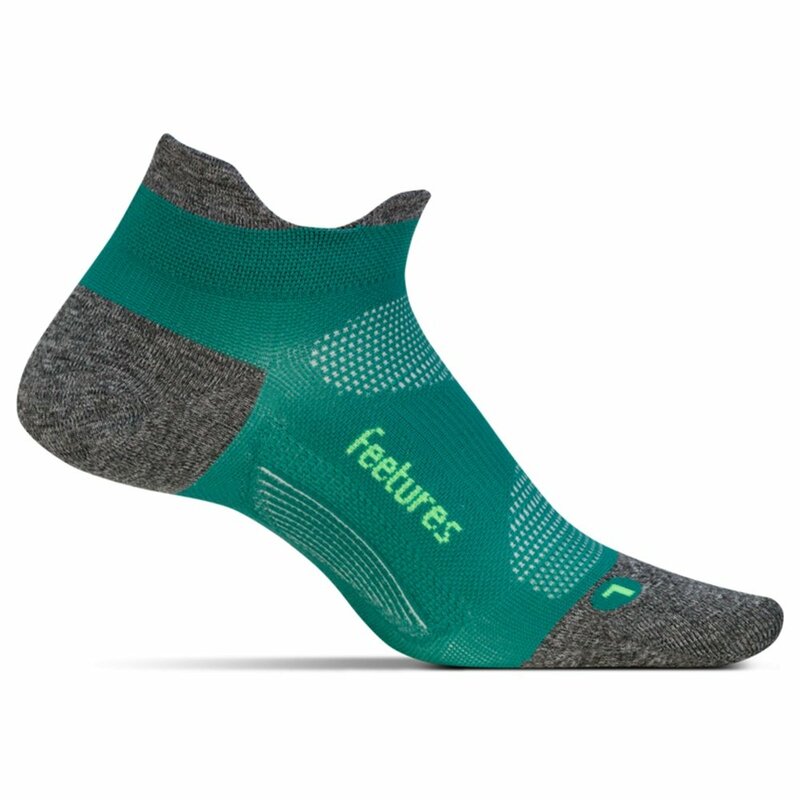 The seamless design helps to prevent skin irritation around the toe, and the low-profile look makes the sock usable for any occasion. Ultra thin design allows for use even in the tightest fitting shoes. Sock-Lock Technology adds compression where it’s needed most, providing runners with support for heavy mileage.